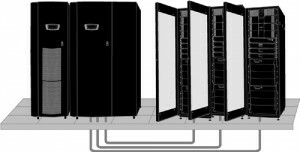 UPS and PDU - Advanced Facilities, Inc.
Data center-level availability begins with a high quality UPS. 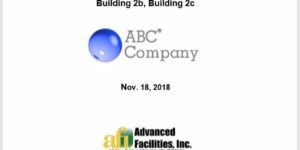 The actual power architecture (number and type of UPS, PDU and distribution paths) is defined by your availability requirement and budget. 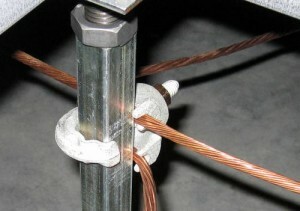 Provide full protection from both self-inflicted and utility-induced power quality events including a power outage. 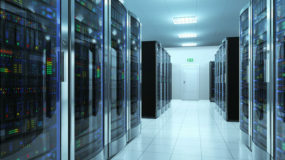 Quality UPS are available in multiple sizes ranging from enough to protect a single server to a multi-hundred thousand square feet data center (in-rack to facility level). 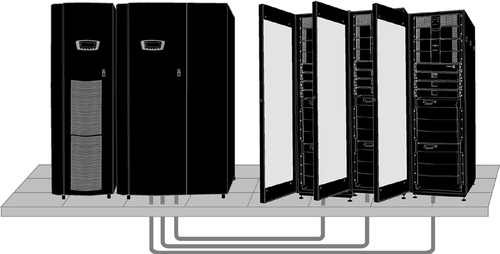 Power distribution from building entrance to the rack is a critical component of a high-availability data center. 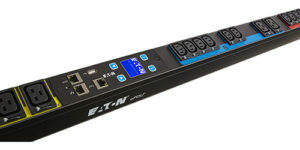 A facility-level Power Distribution Unit (PDU) distributes power to the individual racks and a rack PDU will provide the final distribution to the critical load. 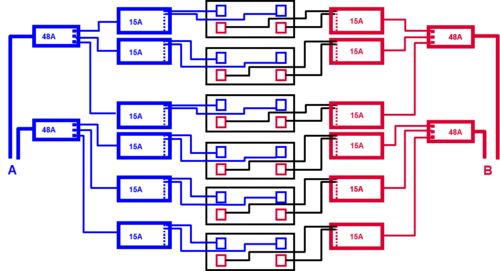 A single or dual (2N) distribution scheme is used depending on your unique facility up-time requirements. 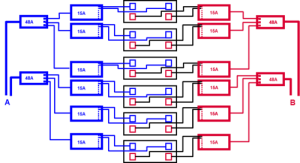 For distribution systems that are routinely being changed a power bus system may be a cost-saving alternative. Second only to wiring and grounding integrity, a high quality SPD can be the most important, and inexpensive, element of delivering high power quality to a facility. 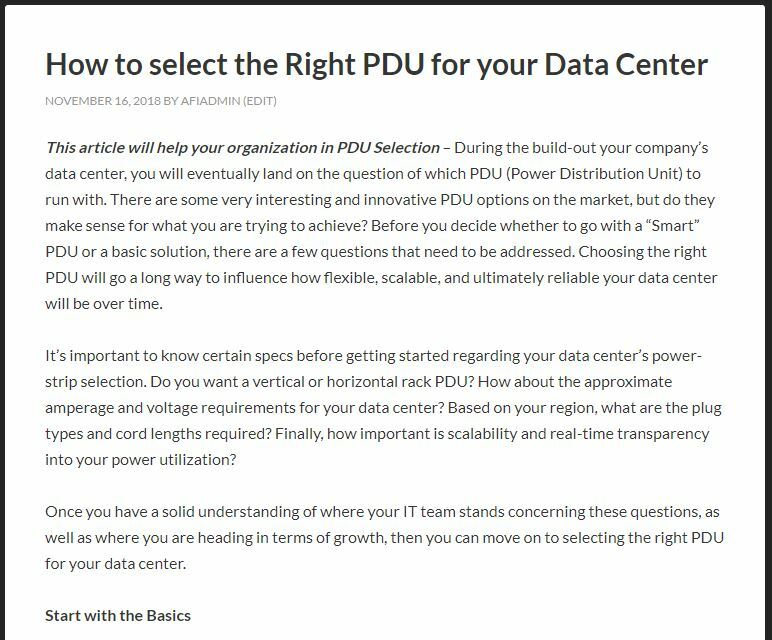 Need more help selection PDUs?